MAXENTIUS. (AD 306-312 ) Follis, 6.10g. Ostia. Victory advancing left, holding wreath and palm branch. MAXIMINUS II Daza. 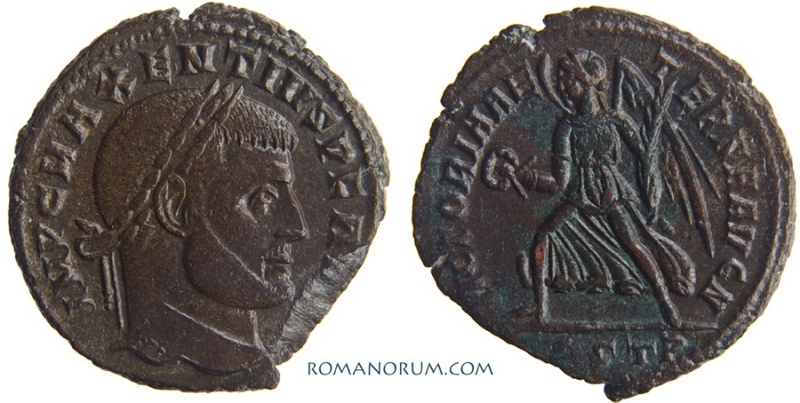 (AD 308-313 ) Follis, 6.91g. Nicomedia. GENIO AVGVSTI, CMH obverse legend.